Ready to add some retro flair to your shoe collection? Look no further! At Shop With Us, we are all about browsing the racks for the most fashionable finds and these velcro sneakers fit the bill. Serving up a strong dose of nostalgia, these kicks will also help elevate your style. 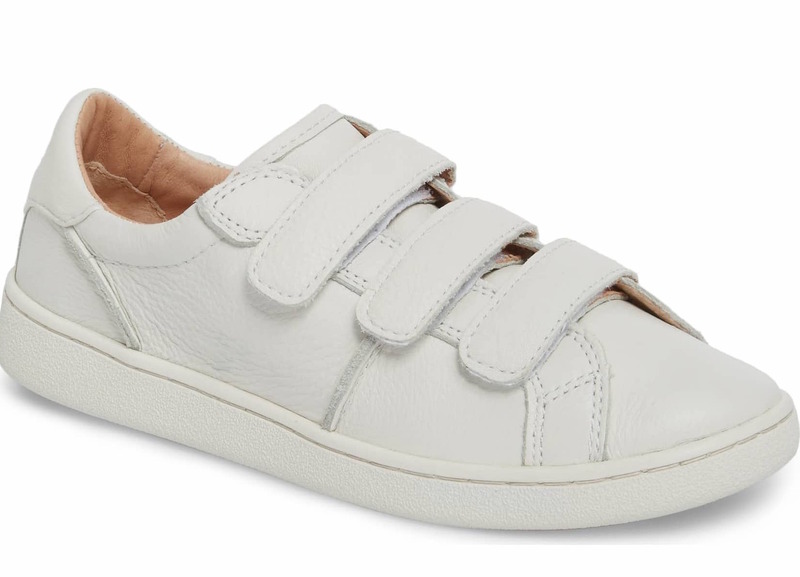 See It: Grab the Ugg Alix Sneaker at Nordstrom for 40 percent off the original price of $119.95, now $71.96. The UGG Alix Sneaker pays homage to ’90s fashion. Designed with a timeless low-top build, this pick is ideal for your no-fuss wardrobe. Its PORON cushioned footbed and memory foam construction provide the ultimate level of comfort for all day wear. Crafted with a leather upper and adjustable hook and loop straps, this minimalist piece will change the way you put on shoes. 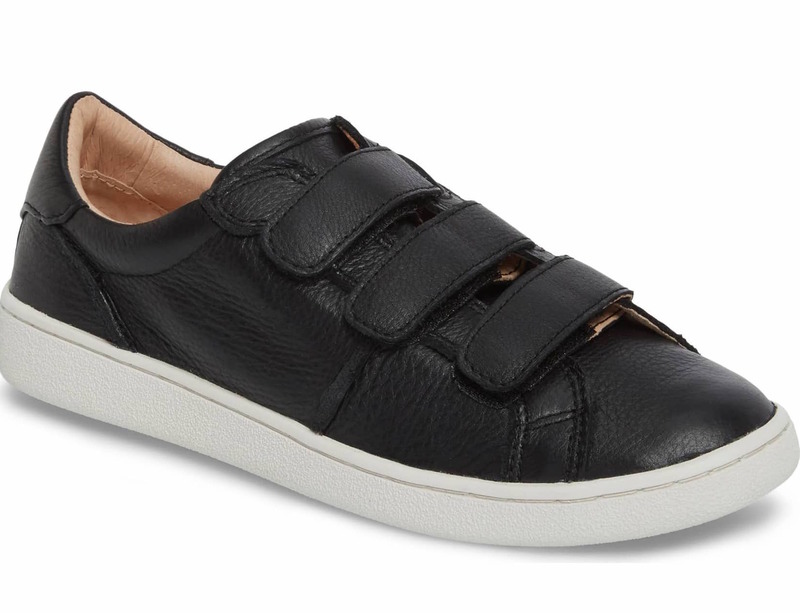 The sneakers are available in two neutral hues, including black leather and white leather. Cruising the Nordstrom racks at a cool 40 percent markdown, this fabulous find is too good to pass up! Wear this velcro design with a bodycon skirt, turtleneck and a duster for a sporty, yet chic finish. You can also team the sneakers with skinny jeans, a tank top, a leather jacket and a cross-body bag to grab drinks with friends. Running errands? Slip on a pair of leggings, a T-shirt, top coat and a tote bag for a throw and go look. With sizes 6 to 11 available in select colors, we recommend adding these shoes to your shopping cart ASAP. Everyone loves a sale and it’s only a matter of time before this comfy pair sells out.